Five 2015 Furry Features – by Fred Patten. 27 theatrical animated features are coming in 2015, and most of them are furry, or at least anthropomorphic. Cartoon Brew covers them in an article by C. Edwards: “27 Animated Features To Look For In 2015”. My thanks to Edwards for telling us what to look for. Of course, not all 27 feature anthropomorphic characters. Yet the majority of them do, from the definite animals (well, birds) of Animex Producciones’ El Americano: The Movie to the “are they furry or not?” alien Boovs of DreamWorks Animation’s Home. Some contain all-furry casts, like DreamWorks Animations’ Kung Fu Panda 3, while others contain only one anthro character amidst lots of humans, like Pixar’s The Good Dinosaur. Are these all the animated features coming out during 2015? Probably not. But these are what have been announced so far. Also, some of these are foreign theatrical films that will probably not be released in North America. You may have to look for them on DVD in 2016 or 2017. Here are five from the Cartoon Brew’s list of 27 that look definitely furry, and definitely worth looking at. 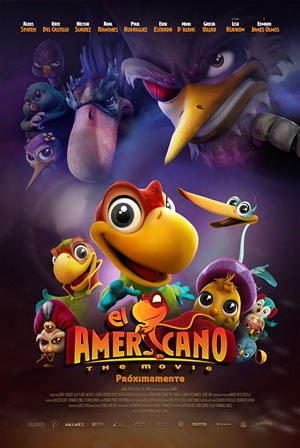 The animals include Cuco, the pre-teen parrot son of the ringmaster of the Whistles Circus; Gayo, Cuco’s father; Martin, the kingfisher villain, an old rival of Gayo for leadership of the circus; Rayito, the hummingbird love interest, raised by Martin and believing in him at first, until she meets Cuco; the Great Divino (El Divino), the owl magician who is a real mystic; Garcia the stork, the Great Divino’s helper and Cuco’s comic-relief but loyal friend; Trueno, the armadillo luchador who teaches Cuco how to fight; Agent Windstall (Agent Ponch), the fierce American eagle border guard who Cuco has to get past; Lucille, the flamingo former actress who now runs the San Diego Zoo’s bird sanctuary; Lori, Cuco’s parrot mother and the Great Divino’s stage assistant; Paquito, Cuco’s little yellow canary hero-worshipper; Dovo the pigeon, one of Martin’s thugs; Vovo, Dovo’s kid brother who tries to outdo him in meanness; and Ash the vulture, Martin’s personal bodyguard. The voice cast includes Cheech Marin as Martin; Edward James Olmos as Gayo; Kate del Castillo as Rayito; Erik Estrada as Agent Windstall; and a bunch of Mexican actors whom I don’t recognize but are presumably big names in Mexican cinema. Question: do all the voice actors speak both Spanish and English, and are they recording their dialogue in both languages? El Americano: The Movie is co-directed by Ricardo Arnaiz and Mike Kunkel, the latter of Herobear and the Kid independent comic-book fame. It is co-produced in CGI (computer graphic imaging) animation by Animex Producciones in Puebla, and Olmos Productions and Phil Roman Entertainment in Burbank. Cats and humans. You know the 1961-1962 Hanna-Barbera Top Cat series. If you don’t, it was popular at the time, running for 30 episodes. It was a funny-animal imitation of TV’s The Phil Silvers Show/You’ll Never Get Rich, about Army Master Sergeant/master con-man Ernie Bilko and his platoon of goofballs always harassing honest-but-stupid fall-guy Col. Hall. In Top Cat, Top Cat (a.k.a. T.C.) is the leader of a gang of Manhattan alley cats: Benny the Ball, Choo-Choo, Brain, Fancy-Fancy, and Spook. Their antagonist/fall-guy is police Officer Charlie Dibble. Comedian/voice-actor Arnold Stang did a very good imitation of Phil Silvers’ voice as Top Cat, and the other five alley cats sounded like a combination of the movie teen gang the East Side Kids, and the cast of Guys and Dolls. Top Cat was popular in TV reruns for decades, then faded away – until Ánima Estudios (in México City) licensed the rights to make the September 2011 Don Gato y Su Pandilla (Top Cat and His Gang), a 90-minute traditional cel-animated feature. It was dubbed into English and released in the U.S. in August 2013 as Top Cat: The Movie. It was popular enough in both countries that now Ánima Estudios is making Top Cat Begins, in CGI rather than cel animation, directed by Andrés Couturier. No plot is given yet, and Top Cat Begins is described as a companion piece to the first movie; not a sequel. An origin story? The movie will be distributed in Mexico by Warner Bros. Pictures Mexico. Does Warner Bros. also have U.S. distribution rights? Dogs, too. Grey, a young wolf who considers that sheep exist only as wolf fodder, is transformed into a ram and must protect the sheep in the flock now instead of hunting them. The fact that Sheep and Wolves (Volki i Ovchii, literally Wolves and Sheep) already has an English-language trailer is encouraging. The CGI production studio is Wizart Animation in Moscow and Voronezh, which already made the two Snow Queen features that include Orm, an anthropomorphic shape-shifting troll/weasel, and Luta, an ermine. Both were theatrical features in Russia. 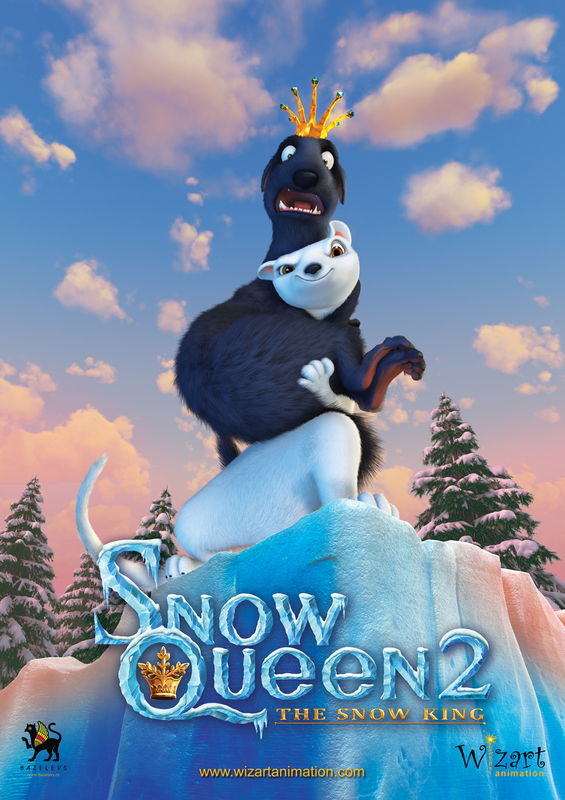 Snow Queen did not get an American theatrical release; it was a direct-to-DVD release that sold so well that an American theatrical release of Snow Queen 2 (with Orm promoted to the main star), released in Russia on January 1, 2015, is being seriously considered. Incidentally, many of the American reviews dismissed Snow Queen as an obvious rip-off of Disney’s Frozen. Snow Queen was released in Russia on December 31, 2012. Disney’s Frozen wasn’t released until November 27, 2013. The director of Sheep and Wolves is Nick Landau. Release date is Spring 2015 in Russia; probably late 2015 in North America. Sheep and sheep dogs. Some humans. Shaun the Sheep was introduced in the Wallace and Gromit 1995 stop-motion short A Close Shave, and soon became one of the top stars of Aardman Animations (in Bristol, England). Shaun starred in Shaun the Sheep, a stop-motion pantomime TV series of 130 (so far) seven-minute episodes from March 2007; broadcast in 180 countries to date. It has been so popular that a spinoff TV series has been made featuring Shaun’s young cousin Timmy. The movie is the TV series “writ large”. Shaun and his uncontrollable flock on Mossy Bottom Farm have finally forced the long-suffering farmer to give up his farm and move to The Big City. Shaun and the rest of the flock realize they don’t know what to do next – Mossy Bottom needs a human to run it – and they all, with the sheepdogs Bitzer and Slip, set out for The Big City to persuade the farmer to come back. But they don’t figure on Trumper, the sinister, sadistic Animal Control officer. 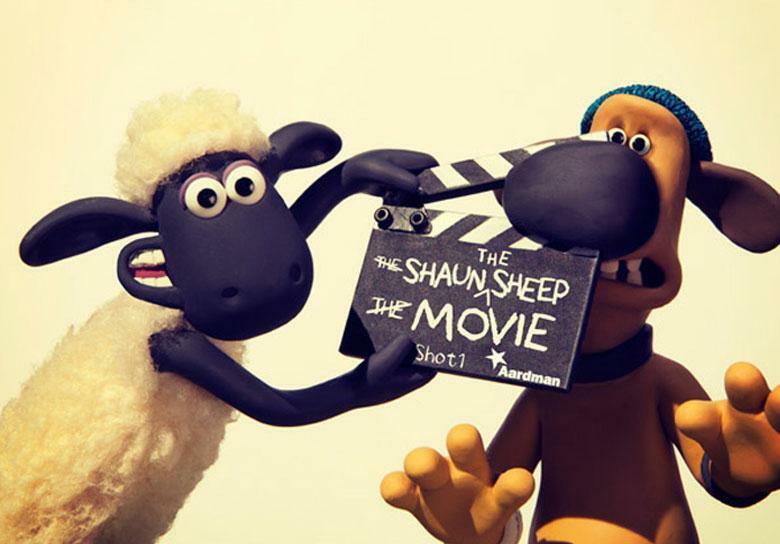 Shaun the Sheep is co-directed by Richard Starzak and Mark Burton. Robodog is The Odd Couple with dogs: an old mutt, and a high-tech robotic puppy. KC (Kinetic Canine) is a lively, super-canine cutting-edge combo pet/toy for Ashley, a very rich young girl. When KC is damaged, he is sent to a repair shop run by Mike Luna and his daughter, Izzy. There, KC meets a real dog for the first time; Marshall, Mike’s old shop guard dog. The two hate each other at first; KC considers Marshall old-fashioned and washed-up, while Marshall dismisses KC as a useless toy. KC is repaired, but before he can be returned to Ashley, he is stolen by Vic and Bobby, two unscrupulous bikers. Marshall considers any theft from Mike’s shop as a personal slight, and goes after them to get KC back. The two dogs escape together into a series of dangerous adventures, some with anthropomorphized street dogs, in which they learn to help each other, to bond together, and to become friends. Robodog is being produced by Marza Animation Planet in Tokyo (wait; a German feature being made by a Tokyo animation studio? Are you sure this is German?) 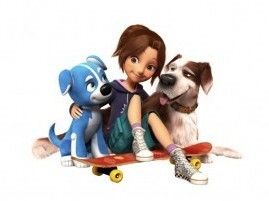 in CGI, but it has an American director, Henry F. Anderson III (Stuart Little III), an American voice cast including Chris Colfer as KC, Ron Perlman as Marshall, Ellen Page as Izzy, and Edward James Olmos as Trazen, the leader of the hostile street dogs, and a British international distributor, Timeless Films. Well, it looks good, wherever it is from. P.S: Reduce that 27 features to 26 in 2015. DreamWorks Animation has just postponed its Kung Fu Panda 3 from 2015 to 2016, to avoid being released (and killed) at the same time as Disney’s Star Wars VII. Bump it up to 27 again. Cartoon Brew has just announced this French-Italian co-production of “Mune” or “Mune, Guardian of the Moon”, to be released in Italy on February 5, 2015 and in France on April 22. Cartoon Brew says that the American rights haven’t been bought yet, although English-language posters have obviously already been prepared. If it doesn’t get a theatrical distribution deal, it’ll probably end up as a direct-to-video kids’ DVD in 2016. Mune is a forest faun who’s a cross between Marvel’s “the Amazing Spider-Man” and Disney’s “Bambi”. O-k-a-y. He looks CUTE! See this poster on Cartoon Brew (http://www.cartoonbrew.com/feature-film/nico-marlet-designed-french-feature-mune-has-a-trailer-106782.html), and this other poster on another cinema-industry website (http://hollywood-spy.blogspot.com/2014/12/gorgeous-first-poster-and-photo-for.html). Bump it up again, past 27 to 28. Cartoon Brew has just announced this French-Italian co-production of “Mune” or “Mune, Guardian of the Moon”, to be released in Italy on February 5, 2015 and in France on April 22. Cartoon Brew says that the American rights haven’t been bought yet, although an English-language poster has obviously already been prepared. If it doesn’t get a theatrical distribution deal, it’ll probably end up as a direct-to-video kids’ DVD in 2016. #28 is Indian studio Green Gold Animation’s “The Himalayan Adventure of Chhota Bheem”, in India’s theaters in Summer 2015. This is presumably mostly a non-anthro cartoon movie, although the 8-year-old super-strong boy Bheem will doubtlessly be followed by Jaggu, his tagalong talking blue monkey – his comic books, TV cartoons, and two theatrical animated features have all been — and the Himalayan setting will probably mean a yeti or two in the plot. The Chhota Bheem TV animation and movies have not been picked up for America, though; they’re extremely ethnically Indian. You can mail-order the Indian DVDs, but since they’re not dubbed into English, you better speak Hindi. No trailer yet, but see “What’s Wrong With Indian Animation” earlier this month for the trailer of the first Chhota Bheem movie.